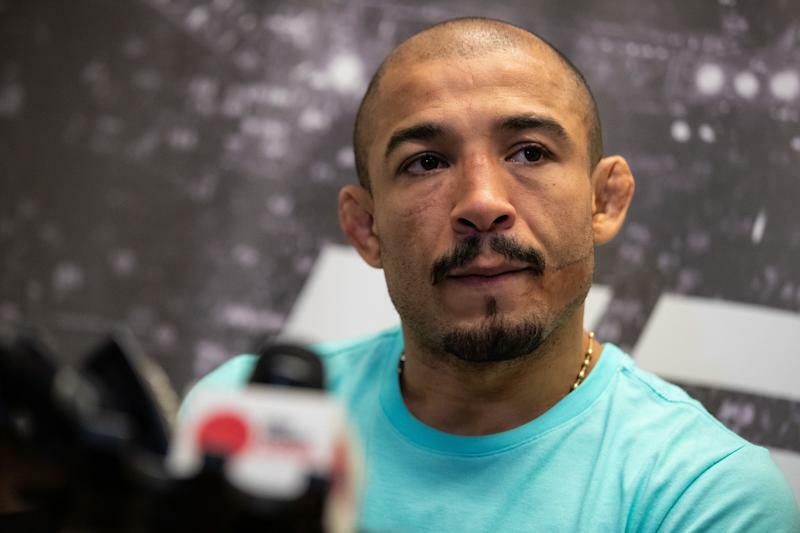 Jose Aldo has looked strong since his back-to-back losses to UFC featherweight champion Max Holloway, but his next fight might suddenly be in question. The former UFC champ has been hospitalized in Rio de Janeiro since Wednesday with a bacterial infection, according to MMA Junkie. Could infection delay Jose Aldo’s next fight? The infection reportedly stems from a small cut Aldo suffered on his knee. Antibiotics treatment was apparently not effective at first, but Aldo has since responded and been fever-free since Thursday night. Per Brazilian outlet Combate, Aldo will still need a massive improvement in his condition in the next week to be cleared by doctors for his fight against UFC’s fourth-ranked featherweight Alexander Volkanovski on May 11 at UFC 237. Aldo’s manager Andre Pederneiras reportedly expressed confidence that the infection won’t affect the fighter’s prep much. If he makes it, Aldo will be going for his third win in a row since his losses to Holloway. In the last year, he’s dispatched Renato Moicano and Jeremy Stephens, ranked fifth and seventh in the featherweight division, and needed just three rounds combined to do it. Aldo has previously stated he plans to retire at the end of 2019 and that he’d like his final three fights to be in his native Brazil, so the timing of every fight counts now. Aldo has two fights left on his current UFC contract, and there likely won’t be too many more Brazil-based events like UFC 237 this year.